This ultra-bright light from Off Grid Tools is the perfect handlamp for a late night fishing trip, dog walk or just sitting around the fire at your next weekend camping trip. The advanced LED technology is paired with four user-friendly settings to help you keep you safe without wasting battery. The adjustable elastic headband provides a comfortable fit for head sizes while making sure your lamp doesn't shift or fall while in use. 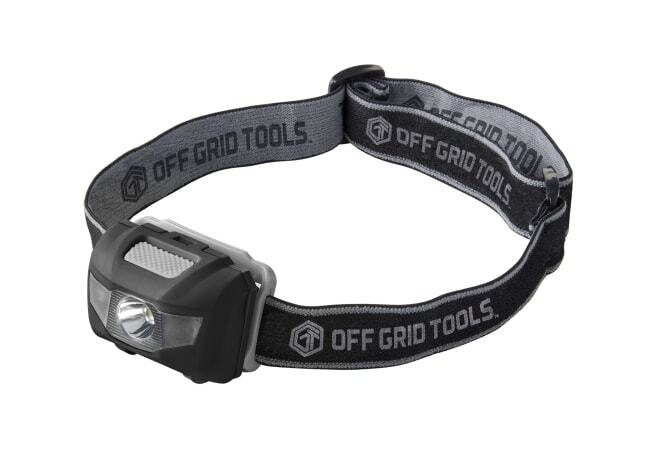 Keep your hands free and the path ahead well lit with the Off Grid LED Headlamp.